Surf Air is flying in and out of San Carlos (KSQL), again. They are partnering with Advanced Air. When you search Flightaware https://flightaware.com/ you are looking for the PC12 plane under the column Type. The identifier is WSN 21, WSN 22, or WSN 23. There may be others as Advanced Air adds more planes. Surf is flying a few times per day. It varies. There are two other operators at KSQL who are flying the noisy PC12 and are carrying passengers. They are Part 135 “unscheduled operators” whereas Surf is a Part 135 “scheduled” operator. One is Big Wednesday with identifier N288SE. Another is Santana, XSN32. We also see Riki Pilatus N643PC. There are other PC12s used by other operators at KSQL. All of the operators will fly the same path over our homes as Surf. 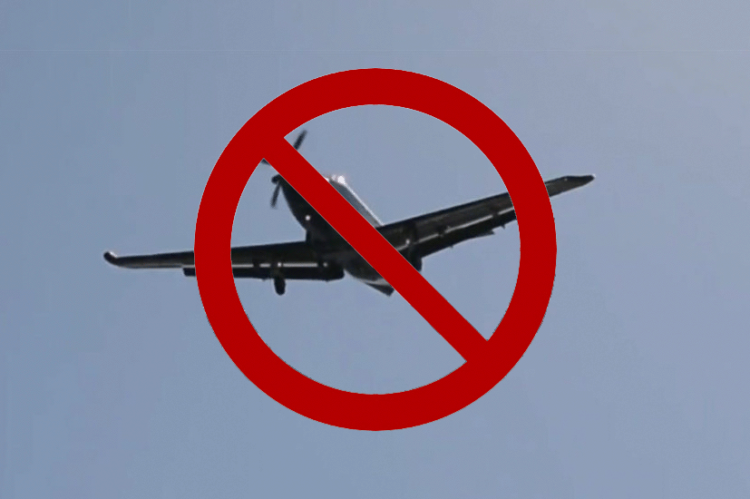 The airport’s Voluntary Noise Abatement program is ineffective for these businesses. We are not sure who follows that program, but we know it is not followed by the regular operators who want to fly the shortest and quickest route. No one seems to know what Surf is planning. We have seen that they will add flights as often as they can find the passengers. We know they are having some financial difficulties as they are unable to pay their San Mateo County (SMC) property tax bills. They have not been paying their tax bills for several years. Late fees and penalties have been added, yet there is no punishment. Don’t try this at home. The County is unwilling to impose punitive measures or confiscate assets. We appreciate the difficulty of storing a PC 12 but something could be done. A citizen who is late or does not pay a property tax bill would find a foreclosure procedure ensuing. SMC cannot prevent Surf from using the airport. There are measures SMC could implement that would communicate to Surf that they cannot flout the law without repercussions. Surf Air closed its European operation some months ago to focus on its US service. According to an online article in The Telegraph, Surf Air has placed its European arm into liquidation. According to an article in the Almanac on October 11, 2018 Surf Air is behind in their taxes. 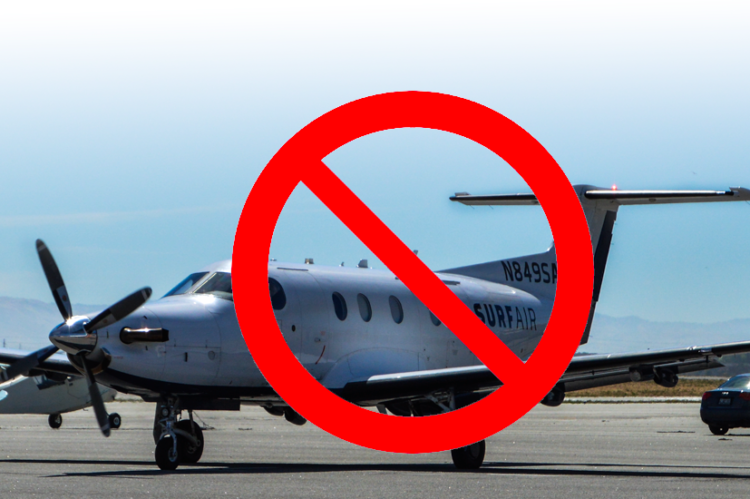 The commuter airline Surf Air has hardly been in the good graces of a vocal contingent of area residents bothered by its noisy planes flying overhead since it started using the San Carlos Airport. 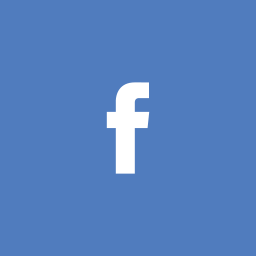 But the San Mateo County tax collector isn’t likely to be looking favorably on the company either, given that, according to public records, the airline owes the county hundreds of thousands of dollars in taxes. The county taxes Surf Air’s planes, which are considered business property. It’s a complicated formula, but factors that go into determining the business property tax are the value of the aircraft and how many hours the aircraft spends in the county, Irizarry said. The county controller’s office calculates the tax after the assessor evaluates the property value, he said. The tax collector levies the penalties, he said. Surf Air could not immediately be reached for comment on the tax matter. 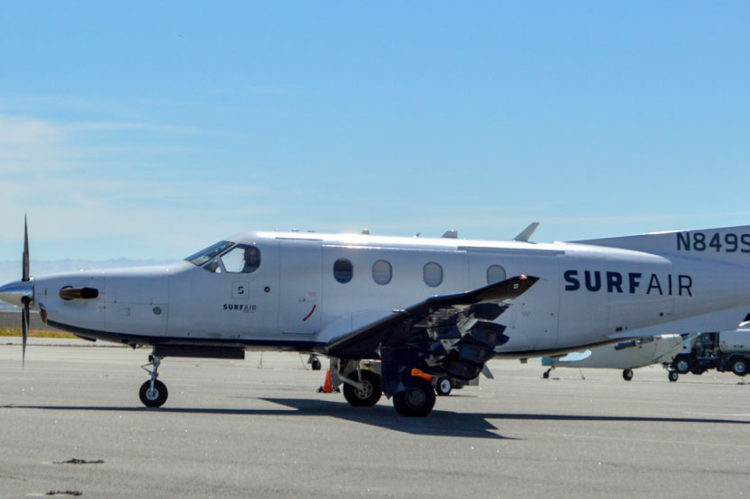 Surf Air is “nearly at an end” of settlement negotiations with Encompass Aviation, a Surf Air spokesperson said in an email. 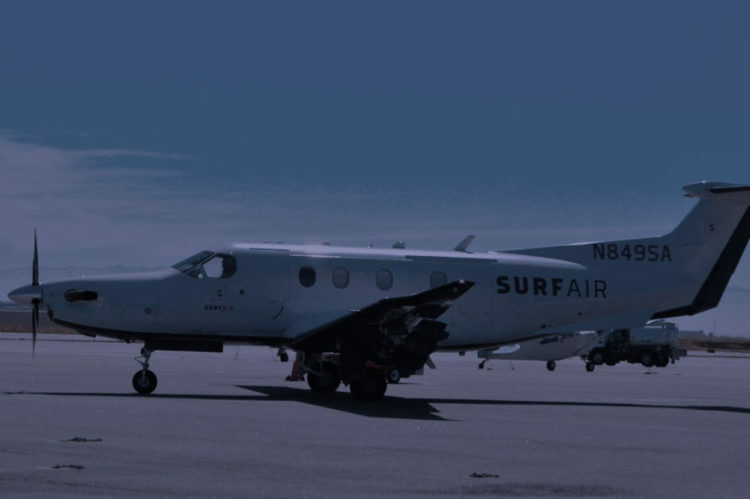 In mid-June, Surf Air replaced Encompass Aviation LLC with Advanced Aviation LLC as its flight operator. 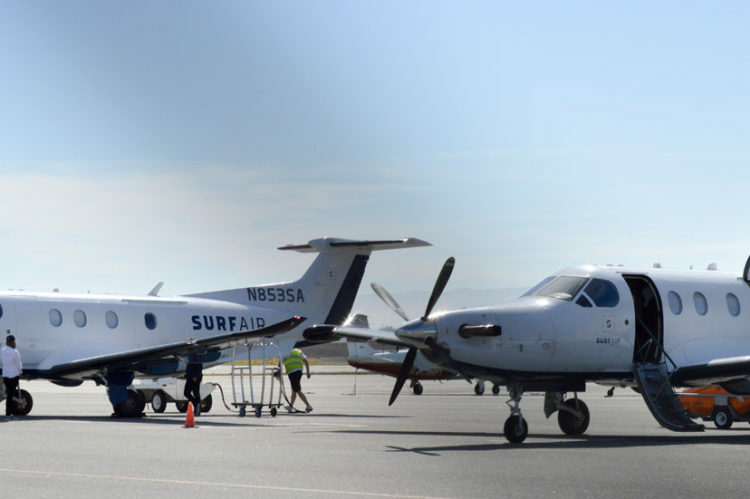 Days later, Encompass sued Surf Air, claiming $3.1 million in unpaid bills. “We’re obviously concerned about our neighbors, but also trying to maintain a successful airport,” Kelly said. Local resident Harvey Radin has commented several times in the past on the disruption caused by Surf Air. His recent article appeared in the Las Vegas Business Press. Disruption is thrilling, but there’s also a downside when innovative businesses become mired in disruptive problems. Dockless scooter and bike companies, for example, have to sort things out when people renting two-wheelers leave them scattered along sidewalks. You’re hearing about that as Lime Bike, Bird, Ofo and other companies roll into more cities. “Although the devices align with local climate action goals and offer an affordable solution for the first and last mile of a daily commute, city officials have said they also create chronic nuisance issues,” according to Fox 5 San Diego. Ironing out problems is a real pain for business firms. Fixing them can be time-consuming and costly. Companies may have to change procedures, tweak business models and spend time resolving issues with city government officials and activist groups. They may need to bring in legal counsel, lobbyists, marketing and public relations staff. You hear about strangers staying a few days at a time making short-term rental properties seem like hotels. You hear about raucous parties. The airline provides service at several airports in California and elsewhere, including San Carlos Airport, some 20 miles north of San Jose. People in at least seven communities have been voicing complaints, according to articles in other news media. Whether people filing noise complaints, attending public hearings and holding a protest last year at the airport had an impact remains to be seen. There’s nothing wrong with disruption. Shaking things up is OK as long as companies thoroughly evaluate how new business models might be perceived by people outside their customer base, and attempt to address problems before they spiral out of control. Harvey Radin is a crisis communication expert who lives in Northern California. His articles about business, government and public opinion have appeared in a number of media, including Business Insider, Talking Biz News, American Banker, Times of San Diego and regional newspapers. Who is Surf Air in 2018 and what are they doing? (1) They are late in tax payments to the County. We hear that Surf owes $131,000. Poor form by the County of San Mateo to let Surf pay late with no penalties. We will try to find the agreement with Surf and see if there are remedies that the County is not pursuing. It is unclear what taxes are owed. (2) The IRS has a lien against Surf for $2,330,000. (3) Former Surf business partner Encompass is suing Surf for $3,100,000. Surf had a relationship with Encompass and it is now over. The County of San Mateo took the opportunity of the merger with Encompass to file a legal challenge to Surf’s business model. That legal challenge was previously on our home page and is now filed in the website. As we know, Surf’s entire business model and existence is predicated on a misapplication of the FAA’s Part 150 designation. This Part 135 certificate has allowed Surf to bring the volume of passenger service along with the problems. It is what differentiates Surf from the other businesses at KSQL. It is why complaints against Surf are not complaints against the airport and against other businesses at the airport. Around June 2017 Surf Air became owned by Encompass Aviation. Encompass was the operator of Surf. They hired and trained the pilots. Surf does its own scheduling and marketing. On Flightaware.com the flights were listed under the Ident column as ROM—. If you clicked on the flight for additional information, you would see Empresa Aeromar as the airline. FAQ 26. This Encompass acquisition provided an opportunity for the County of San Mateo to challenge the bogus business model of Surf – the use of Part 135 to engage in scheduled passenger service. Now, June 2018, Surf is on the move again. Encompass is out. They don’t like it. Nice to know that we are not the only ones blindsided and confused by Surf behavior. #14. Encompass seeks damages…including the more than $3.1 million that Surf owes in overdue payments for services rendered. On June 15, 2017 Encompass filed an Application with the Department of Transportation (DOT) “for authority to conduct scheduled passenger operations as a commuter air carrier.” The San Mateo County filed an Answer in Opposition to this Application on July 6, 2017. There is a more detailed discussion of Surf’s operation in the County Answer. Here are some of the points with their page location if you want to follow the subterfuge as Surf tries to game the system so they can fly what we consider an “airline” (Part 121, flying scheduled passenger service, TSA) under rules (Part 135) applicable to a charter or commuter service. 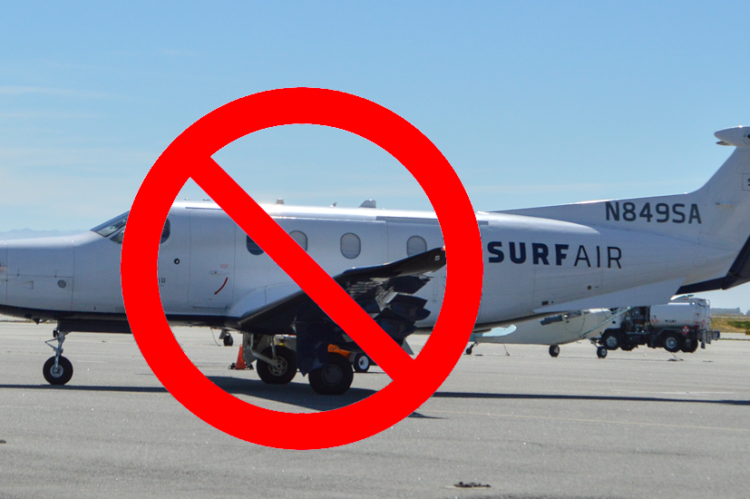 Surf Air is a Direct Carrier. See page 12 – 17 for a good explanation of the why Surf would be considered a direct air carrier in spite of their claims otherwise. This situation is discussed further in the website FAQ (26) Who Owns Surf Air Now? As of November 5, 2017, Surf Air is flying 193 flights into and out of San Carlos Airport each week. For flight path information, please check the FlightAware website for KSQL. Surf Air flies under the Airline code ROM. Any flight identifier beginning with ROM is a Surf Air flight. There will be a meeting on Sept 27, 2017 in San Jose to hear from the FAA regarding the Bayside Visual Approach. If you can’t make it to the meeting, please write to the FAA at the email address at the end of this announcement. 1601 Lind Ave SW, Renton WA 98057. 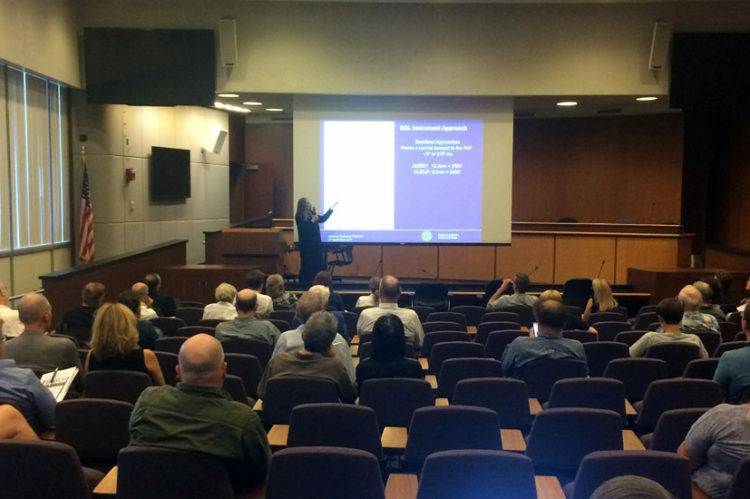 For additional information regarding the FAA’s meeting please contact Mindy Wright, Manager, NAS Analytics & Environmental Team, Operations Support Group at mindy.wright@faa.gov.